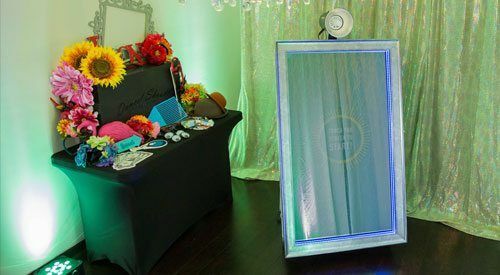 Calgary’s Largest Variety of Photo Booths! We have been providing photo booths in Calgary since 2010, and in that time we’ve seen a lot of awesome pictures and had a lot of awesome fun! We’ve provided fun photo entertainment at literally hundreds of events and we’ve learned a few things along the way. 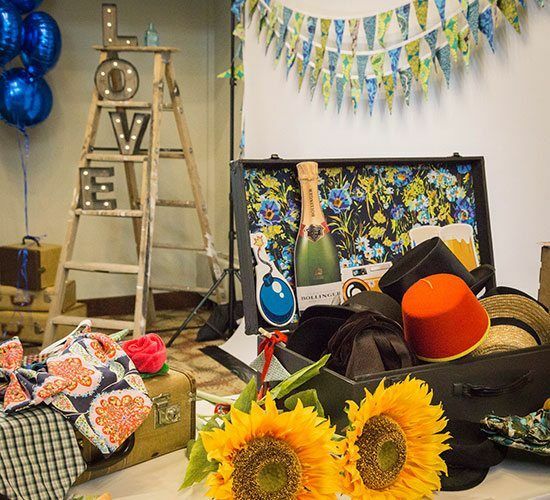 All of our photo booth packages include an on site attendant, super fun props for your photos, customized double prints, and digital copies of all the images at the end of the rental! 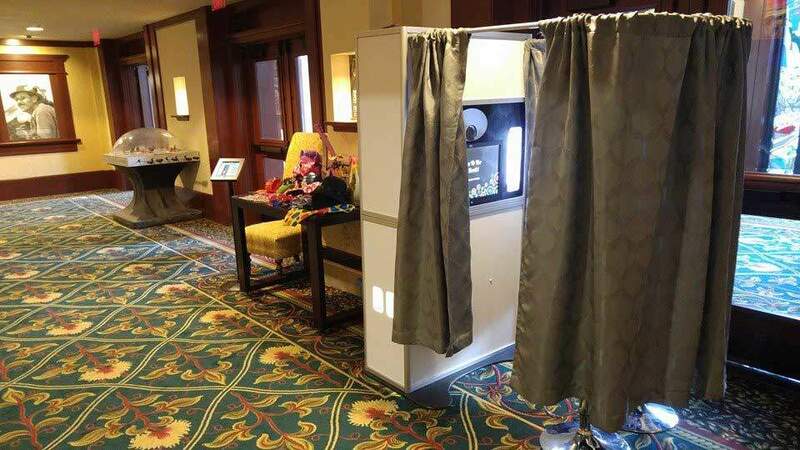 Do you have an idea for an interesting use of a photo booth? We can make it happen. Green screens, GIFs, Boomerangs, and more… We know how to use a photo booth to bring your next big event to life!. We loved having the photo booth at our wedding! It was the perfect way to celebrate our special day and keep memories of the people that came! – Lynn & Wes R.
Meet Our Calgary Photo Booths! 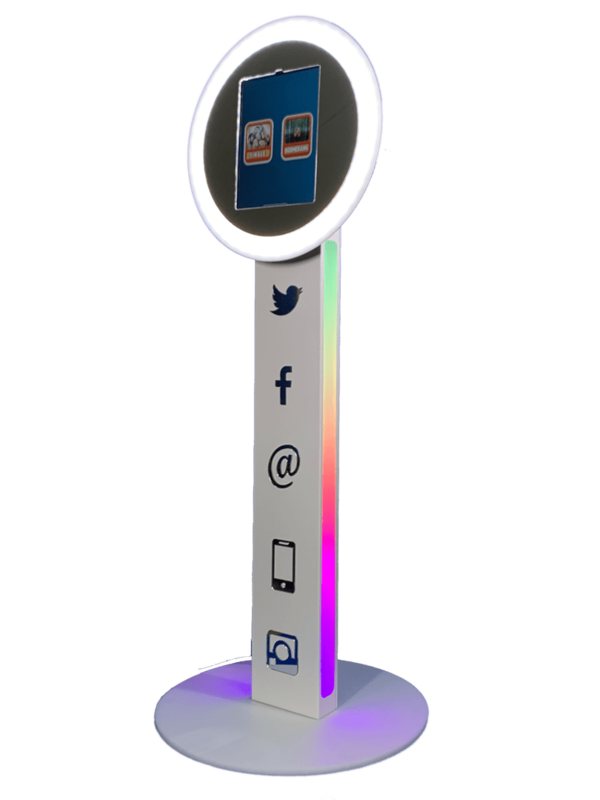 SeeYourSelfie is a state of the art 55 inch two way mirror with social media integration, powered by a 40 inch LED touch screen display for branding, promotions, instructions, videos, photo gallery and live view. SeeYourSelfie is our Premiere Photo Booth and is exclusive to Dance! Shout! Our Retro Booth is the photo booth that started it all! It offers the classic photo booth experience that has drawn people to photo booths for decades, with a modern twist. The Open Booth brings all the photo booth fun out into the open for everyone to see! Guests dressed in our fun props stand in front of the backdrop for their fun glamour shots! It always draws a crowd, and everyone has a blast trying to outdo each other with the wildest prop combinations! The Open Booth is also perfect for grabbing shots of large groups and teams! Ask us about our wide variety of available pre-made backdrop options, or we can custom design one just for you! The Social Booth is a modern spin on the photo booth, and it’s so much more than your typical photo booth! The Social Booth can snap awesome still photos and customize them with filters, or create a buzz with GIF animations, Burst & Boomerang animations, and Animated Backgrounds with Green Screens! You guys were awesome and the hit of the wedding! Thank you so much for everything!! – Danielle S.